Plateau International is pleased to announce its partnership with the Exotic Heritage Group. 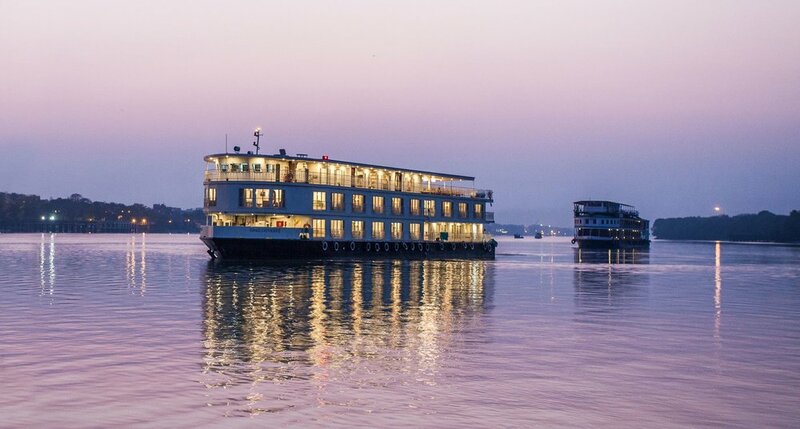 They operate luxury river cruise vessels on the Ganges and two boutique resorts bordering national parks. The Exotic Heritage Group has been operating for over 30 years. The founder, Mr. Raj Singh, is a well-known expert on wildlife in India. Their experienced staff are highly trained and experts in making your journey smooth all the way. In order to offer memorable journeys, they use their own experienced guides, wildlife experts and bird watching leaders. They make sure that travellers embark on a journey of a lifetime. Exotic Journeys create luxury experiences for your passage to India that take you through ancient river routes, forests in the heart of the subcontinent, and the natural habitats of indigenous birds and animals. India is a diverse country with many cultural backgrounds and destinations that represent its true charisma. One needs to connect the dots and unravel the mysteries that the country is while travelling. On one hand there is a city like Jaipur that is so vibrant and enigmatic and on the other hand there is Ladakh that is home to beautiful monasteries.